Awang Bemee (seated sixth right) joins KPA board members and staff for a photo call with KPA retirees. KPA recorded 18 retirees this year. KUCHING: Kuching Port Authority (KPA) is expected to handle 8.87 million tonnes of cargo this year, an increase of about 2 per cent compared to last year. Chairman Datuk Awang Bemee Pengiran Ali Basah said KPA’s container throughput is expected to increase by 3.4 per cent to 234,000 twenty-foot equivalent units (TEUs) by the end of this year. According to him, next year would be more challenging given the trade war between the United States and China. “The trade war between the two biggest economies will negatively impact global trade. But with a substantial allocation of development funds from the state budget, we are confident the state’s economy will continue to be robust,” he said during KPA’s year-end appreciation and certificate presentation ceremony yesterday. Awang Bemee said KPA has been informed that the capital dredging of the Sarawak River is presently being undertaken by the federal government. “And I hope it would be completed within the stipulated timeframe,” he said, adding the project was initiated by the Sarawak government for maintenance dredging of the Sarawak River. He added the effort would benefit all users of the river in terms of navigation passage and safety as well as time and cost savings for shipping, which would further spur growth. In fulfilling part of its corporate social responsibility, Awang Bemee said KPA had organised three blood donation campaigns this year. KPA also took part in two events, one of which was the Sarawak-China Business Forum and Exhibition in August. “KPA’s team was awarded a three-star rating on its innovative ‘spreader bar’ cargo handling gear, which reduced the discharging time of rolled steel by 37 per cent during the Kumpulan Kreatif and Inovatif (KIK) Convention competition last month. “KPA also hosted the Badminton Tournament for Asean Ports Association (APA) Malaysia from Nov 24 to 25. Thirteen Malaysia ports joined the tournament,” he said. To enhance productivity and operations efficiency, Awang Bemee said KPA had provided 16 internal and 67 external training programmes comprising courses, seminars, talks and workshops throughout the year for all staff. 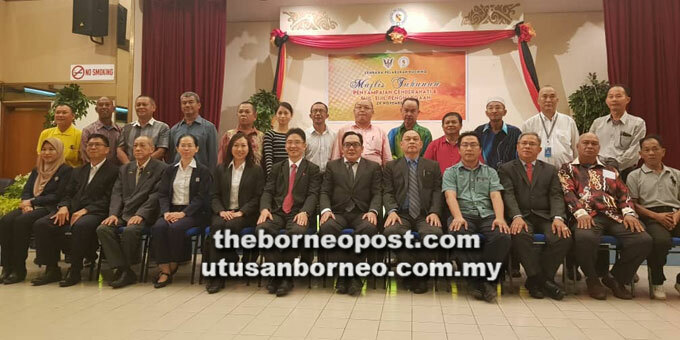 He pledged KPA would follow the Sarawak government’s announcement to issue a one-and-a-half month’s bonus to all employees.